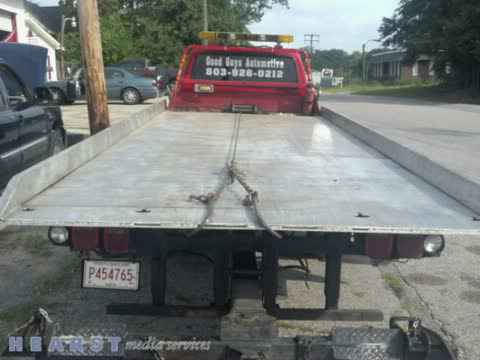 Call today for professional towing services! 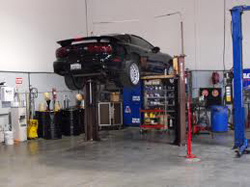 When hiring an auto repair service that will take care of your car with honesty, you need to find an auto shop that offers the right range of repairs, the ideal supplementary services like auto air conditioning repair, and the morals that ensure every aspect of the business is run with compassion and integrity. What you need is mutual respect, quality assurance and reliable towing service. What you need is the Good Guys. We've become a staple in the Columbia community and we look forward to continuing our service for years to come. It can be a frustrating task trying to find the best auto garage each time a new and different part of the car breaks down. Lucky for you, we provide a wide variety of service and repairs, on all makes and models. It doesn't matter if you need wheel alignment, transmission services, brake repair, or auto AC services. When you choose us, you won't have to drive all over town looking for the best deal and quality work. So give us a call today and learn how we can help you! Good Guys Automotive is the auto repair leader in Columbia, SC for a complete range of diagnostic and auto repair services. Featuring a talented, helpful staff of technicians who can provide repairs on foreign builds, domestics, and everything in between, Good Guys Automotive has built a reputation for integrity and customer service. We are in the business of helping people by fixing their cars for less. Whether you need brake service or transmission repair, we’ll make sure your car is running safely and smoothly. Are you suspecting that your transmission has an issue? A burning smell and clunking and humming sounds are common signs of transmission problems. Our experienced mechanics can accurately diagnose the problem and provide timely transmission repair. We serve customers in Columbia, SC and the surrounding areas. Our auto repair and maintenance services are affordably priced. If you are looking for transmission repair specialists in the area, get in touch with us today. Are you suspecting some issue with your transmission? Burning smell, clunking and humming sound, etc. are common signs of transmission problems. Our experienced mechanics can accurately diagnose the issues with your automobile or transmission and provide timely transmission repair. We serve customers in Columbia, SC and the surrounding areas. Our auto repair and maintenance services are affordably priced. If you are looking for transmission repair specialists in the area, get in touch with us today. Don't be fooled by other auto repair places in the Columbia, SC area. Good Guys Automotive is the area's most dependable and trusted shop for all auto repair services. From tune-ups to transmission repair, we work quickly and efficiently. You can stop in for an auto alignment without wasting your entire day. For the best auto repair service in town, leave it to Good Guys Automotive. Call 803-926-0212 for a free estimate on transmission repair. Offering quality auto alignments and more. If you notice your car not driving straight, it might be time for auto alignment. Everything from big pot holes to car accidents can cause your auto alignment to need repair. When your vehicle is properly aligned, you'll notice that your car rides smoother overall. You'll also save a lot of money on tires. When your vehicle is out of alignment, your tires will wear prematurely. Have your auto alignment checked today at Good Guys Automotive! You can trust the services of Good Guys Automotive. We go above and beyond to make sure our customers are never inconvenienced by an automobile breakdown. Good Guys Automotive offers dependable towing services that can bring you directly to the garage for immediate service. At Good Guys Automotive, our expert technicians always have your back with towing service. Being stranded after an accident or a vehicle malfunction is frustrating, inconvenient and scary. If your car broke down or you got a flat tire on your way to work today, who would you call? Many people aren't familiar with towing companies and have no idea who they would contact in an emergency. 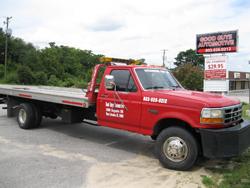 Good Guys Automotive has been the towing service of choice for stranded motorists in the Columbia, SC area. Program our number into your phone and you’ll never be without a reliable towing service again! Don't bake in the heat this summer if your car's air conditioning fails to work properly. At the first sign of a problem, you should always call a reliable mechanic. Having an auto air conditioning repair performed will greatly improve the comfort level in your vehicle. If you find that your auto air conditioning is not up to par this season, don't wait any longer to have it serviced. The repair technicians from Good Guys Automotive are very knowledgeable in the common problems and rare issues that can occur with auto air conditioning units. Once we take a look, we will be able to tell you what is going on with your unit. In no time at all, your vehicle will be returned to you in great, working order. To set up an appointment for an auto air conditioning repair at Good Guys Automotive, pick up the phone and call today. The sweltering summer heat does not make for comfortable driving conditions when your vehicle’s air conditioning system isn't working properly. Don’t think you have to brave extreme temperatures while driving. Drive over to Good Guys Automotive and let our team of seasoned mechanics assess the situation. When you need auto air conditioning repairs, we have the solution. We can handle auto air conditioning repairs for all cars, trucks, and SUVs in the Columbia, SC area. When it comes time for auto repair, you can trust Good Guys Automotive. Our technicians carry all required certifications for working on your automobiles. With extensive experience and cutting-edge diagnostic equipment, we’ll find out exactly what is wrong with your automobile and make sure that the problem is resolved. We also offer preventative service and scheduled maintenance to help you keep auto repair costs down. From brake services to routine maintenance, we do it all! Quality brakes are important not only for your vehicle to pass a state inspection but to also keep you and drivers around you safe on the roadways. If you think you may need brake service or a new set of brakes put on your vehicle, Good Guys Automotive is the place to go. 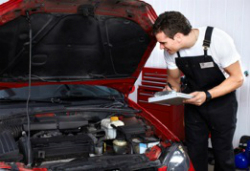 Bring in your vehicle and one of our trustworthy auto repair mechanics will get to work. If you need brake service, Columbia’s finest mechanics are standing by. Call a Good Guys Automotive representative today or bring your car in directly to our Columbia, SC shop for transmission repair, AC repair and everything in between. Auto Repair, Transmission Repair, Towing Service, Air Condition Systems, Engine Repair, Updated Equipment, Oil Changes, Top Notch Service, Foreign & Domestic, Old or New.